The “sulphiting agents” are a class of compounds releases SO2 in food; consequently, they are widely used in the food industry as preservatives. Regarding meats and meat products, the legislation restricts the use of sulphiting agents. These restrictions are due to some toxic effects that these food additives may have in humans. In particular, chronic urticaria, skin allergy, bronchial asthma and pseudo-allergic reactions in asthmatic person. 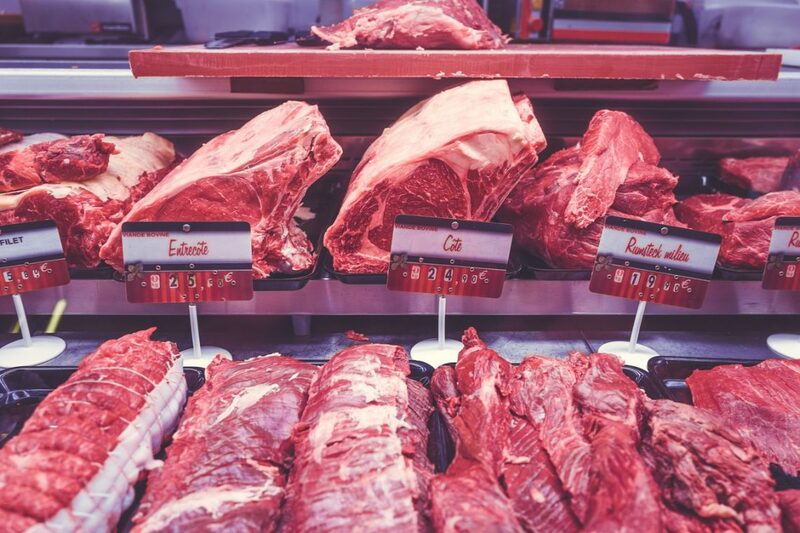 Sulphiting agents may be added illegally to minced meat, used in meat preparations, to extend the products shelf-life; this practice is well-known as “sulfuring treatment” of fresh meats. This procedure was evidenced by different authors, who quantified high levels of sulfites in fresh meat preparations, up to 1500 mg kg-1. At these levels, this meat treatment represents a great risk to people’s health. For this reason, the topic “sulfites in meats” has become an emerging issue in food safety during last years. The Monier-Williams method is the most employed analytical procedure for the determination of sulfites in foodstuffs, and the United States Department of Agriculture developed an optimised version of this method, suitable for the analysis of sulfites in meat products. However, the reliability of this technique has been called into question by different authors. For instance, some interfering compounds, such as sulfides and other sulfurous compounds, may interfere, causing overestimations and/or “false positive” results. This is not a negligible limitation, considering that sulfides may be present in raw meats, because of hydrogen sulphide–producing bacteria (SPB) activity. In particular, some authors demonstrated that several strains, such as Shewanella putrefaciens, Pseudomonas mephitica, Citrobacter freundii, Hafnia alvei, Serratia liquefaciens, and Pantoea agglomerans, can produce H2S in raw meat, by converting sulfur-containing amino acids, even at ppm levels, after only 10 hours of storage. Moreover, the sulfur-containing amino acids present in raw meat, in particular as free forms, can represent a serious problem for method specificity. In addition to sulfur-containing amino acids, there are other sulfur-containing compounds (e.g. benzyl mercaptan and 2-methyl-3-furanthiol) inherent in meat that can be assessed as SO2, with a consequent false positive result. In the past decades, different alternative methods for the determination of sulfites in foodstuffs were developed. However, the most part of these methods has not been optimised and validated for the analysis of meat products. In fact, only an analytical method (Iammarino et al. 2010), based on the direct analysis of sulfites in raw and processed meats by ion chromatography with conductometric detection (DIC), was fully validated. This method is characterized by a high sensitivity, specificity, and accuracy. In this work, the Monier-Williams method was modified, improved, validated and then compared to the DIC for the detection of sulfites in raw and processed meat products. The improvement consisted in replacing the final titration by ion chromatography determination (M-W-IC). The improvement of Monier-Williams method allowed the obtainment of both a sensitivity suitable for this type of determination (LOQ < 10.0 mg kg-1 of SO2) and a good reproducibility, which is not always guaranteed by manual titrations. Some validation parameters (linearity, precision, recovery percentages at 40 and 80 mg kg−1 of SO2 and measurement uncertainty) resulted comparable to DIC. Precision and recovery percentages at 10 mg kg−1 of SO2 resulted higher for the M-W-IC, but this parameter could be influenced by the matrix effect, such as traces of sulfur-containing compounds, that may be present in fresh meats. Limits of determination and quantification of the M-W-IC resulted slightly higher with respect to direct ion chromatography. Finally, the tests carried out by spiking cattle fresh meat blank samples with known amounts of some sulfur-containing compounds demonstrated that sulfides, 2-methyl-3-furanthiol and L-methionine may cause “false-positive” responses when the M-W-IC is used. This is due to the poor selectivity showed by the extraction system based on the distillation, with chemical conversion of sulfites in sulfates. This problem represents a serious limitation in the use of this method that may be considered useful only as a “screening technique”. This study confirmed that the DIC is the most reliable technique for confirmatory analyses in the determination of sulfites in raw and processed meats. These findings are described in the article entitled Determination of Sulphiting Agents in Raw and Processed Meat: Comparison Between a Modified Monier-Williams Method and the Direct Analysis by Ion Chromatography with Conductometric Detection, published in the journal Food Analytical Methods. This work was led by Marco Iammarino, Aurelia Di Taranto, & Diego Centonze from Istituto Zooprofilattico Sperimentale della Puglia e della Basilicata and Università degli Studi di Foggia. Dr. Marco Iammarino is a Food Technologist and Chemical Surveyor. Since 2002, he is a Researcher of Istituto Zooprofilattico Sperimentale della Puglia e della Basilicata (IZS-PB) of Foggia (Italy). Currently, he is employed as Principal Investigator at National Reference Centre for Detection of Radioactivity in Feed and Foodstuff of IZS-PB. He deals about food quality and safety, analytical chemistry applied to food analysis, research & development and analytical methods validation. He has published more than 100 articles in peer-reviewed and Academic Journals, Congress Proceedings and books. The H index of Marco Iammarino has reached 12 and citations exceed 300 (source: Scopus). He has carried out the activity of reviewer for 57 International Journals. Aurelia is a research scientist at the Istituto Zooprofilattico Sperimentale della Puglia e della Basilicata. Diego is a research scientist at the Università degli Studi di Foggia.